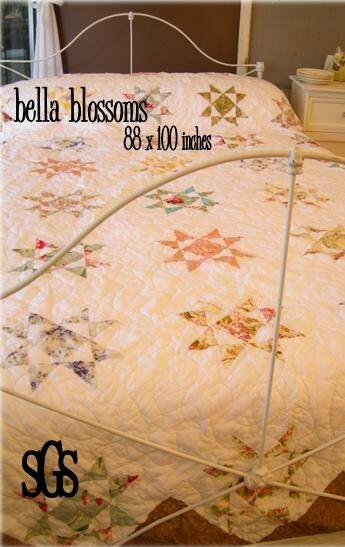 Bella Blossoms pattern is 80 x 100 inches. It has clear directions printed in black and white along with a color front printed on cardstock paper. Pattern uses fat quarters of florals for a cottage look, white muslin, and a dark print for setting triangles. I love stars. :) Can't wait to try this pattern!